Oil traded near the highest level in almost four years as investors grapple with doubts over OPEC’s ability to replace falling exports from Iran. Futures were little changed in New York after closing Monday at the highest since November 2014. Iranian crude and condensate exports declined to their lowest in 2 1/2 years before the impending return of U.S. sanctions. Meanwhile, the new U.S.-Mexico-Canada Agreement, which superseded the 24-year-old North American Free Trade Agreement, eased some concerns about global commerce. Crude has rallied about 16 per cent since mid-August as supply losses from Iran to Venezuela continued to rattle global markets. The Organization of Petroleum Exporting Countries and its allies also showed little enthusiasm for boosting output despite President Donald Trump’s demand for lower prices. “It shows that the market is not convinced about the ability of the producers’ group to replace Iranian barrels,” said Tamas Varga, an analyst at PVM Oil Associates Ltd. in London. West Texas Intermediate for November delivery rose 4 cents to US$75.34 a barrel on the New York Mercantile Exchange at 10:27 a.m. in London. The contract surged 2.8 per cent to US$75.30 on Monday. Total volume traded was about 33 per cent below the 100-day average. 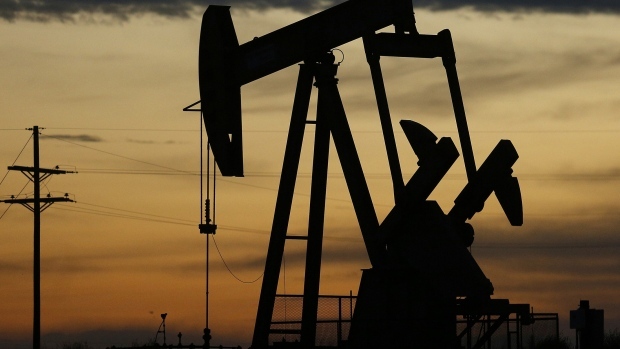 Brent for December settlement fell 37 cents to US$84.61 a barrel on the London-based ICE Futures Europe exchange. The contract rose US$2.25 to US$84.98 a barrel on Monday. The global benchmark crude traded at a US$9.45 premium to WTI for the same month. Observed shipments of crude and condensate from OPEC member Iran dropped to 1.72 million barrels a day in September, down 260,000 barrels a day from the previous month, according to tanker-tracking data compiled by Bloomberg. That’s the lowest since February 2016. With sanctions due to resume on Nov. 4, the sharp drop-off in supply from the Persian Gulf state has helped buoy crude oil prices. In the Americas, the new trade agreement was secured just before a Sunday midnight deadline, allowing leaders from the three nations to sign the deal by late November. While trade tensions still remain, the deal caps a turbulent period the U.S. and Canada, traditionally close allies on national security and trade. Citigroup Inc. has a warning for U.S. oil investors: American crude prices may tumble to the steepest discount against global benchmark Brent since 2013. Russia’s oil production rose to a post-Soviet high last month as the country completely rolled back the output cuts it had agreed on with OPEC, then pumped some more. Kuwait has all but stopped shipping crude to the U.S. for the first time since the aftermath of Saddam Hussein’s invasion in 1990, eroding an economic link between Washington and the Arab petro-monarchy.